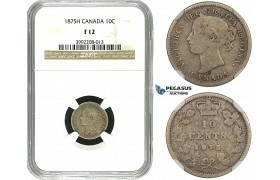 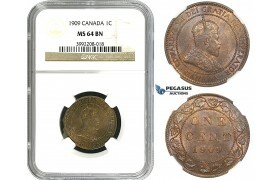 AA026, Canada, Victoria, 1 Cent 1882-H, Heaton, Spotted toning, UNC ..
AA041, Canada, George V, 5 Cents 1920, Silver, NGC MS62 ..
AA042, Canada, George V, 10 Cents 1920, Silver, NGC MS64 ..
AA282, Canada, Elisabeth II, 25 Cents 1953-H, Heaton, Silver, Ch Lustrous PL ..
AA471, Canada, Victoria, 1 Cent 1859, Narrow 9, NGC MS63RB ..
AA472, Canda, George V, 1 Cent 1930, NGC MS65RB ..
AA800, Canada, Victoria, 5 Cents 1887, Silver, Toned VF ..
AA801, Canada, Victoria, 5 Cents 1891, Silver, Repunched "O" Toned & Lustrous AU ..
AA802, Canada, Victoria, 5 Cents 1893, Silver, Toned VF ..
AB241, Canada, Victoria, 1 Cent 1900-H, Heaton, NGC MS64BN ..
AB242, Canada, Edward VII, 1 Cent 1902, NGC MS65BN ..
AB243, Canada, George V, 1 Cent 1911, NGC MS62BN ..
AB244, Canada, George V, 1 Cent 1911, NGC MS66BN ..
AB245, Canada, George V, 1 Cent 1915, NGC MS64BN ..
AB246, Canada, George V, 1 Cent 1916, NGC MS63BN ..
AB247, Canada, George V, 1 Cent 1917, NGC MS64RB ..
AB248, Canada, George V, 1 Cent 1918, NGC MS65RB ..
AB249, Canada, George V, 1 Cent 1918, NGC MS66RB, Rare grade! AB249, Canada, George V, 1 Cent 1918, NGC MS66RB, Rare grade! 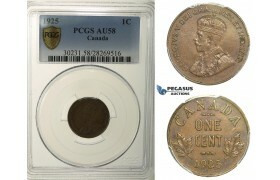 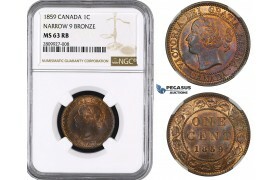 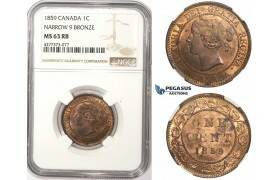 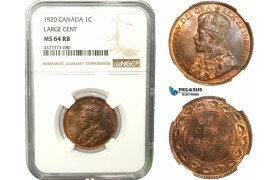 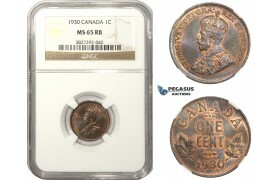 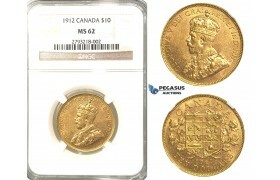 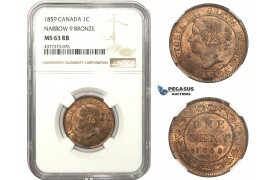 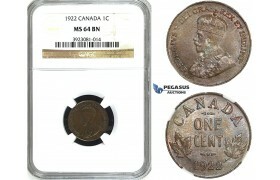 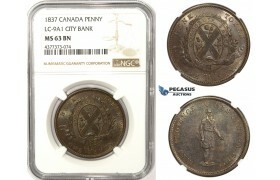 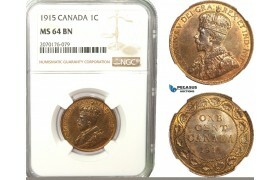 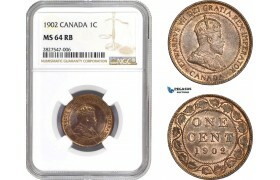 ..
AB250, Canada, George V, 1 Cent 1919, NGC MS65BN ..
AB251, Canada, George V, 1 Cent 1920, NGC MS64RB (Large Cent) ..
AB252, Canada, George V, 1 Cent 1929, NGC MS64BN ..
AB253, Canada, George V, 1 Cent 1931, NGC MS63BN ..
AB254, Canada, George V, 5 Cents 1920, Silver, NGC MS64 ..
AB255, Canada, George V, 10 Cents 1920, Silver, NGC MS63 ..
AB256, Canada, George V, 50 Cents 1920, Silver, NGC AU58 ..
AB293, Canada, George V, 10 Cents 1919, Silver, NGC MS63 ..
AB611, Canada, George V, Dollar 1936, Silver, NGC MS62 ..
AB854, Canada, Victoria, 1 Cent 1891 "Large Leaves, Large Date" NGC MS62BN ..
AC219, Canada, George V, 5 Cents 1912, Silver, NGC MS63 ..
AC666, Canada, Edward VII, 1 Cent 1902, NGC MS64RB ..
AC667, Canada, Edward VII, 1 Cent 1907-H, Heaton, NGC MS63RB ..
AC668, Canada, George V, 1 Cent 1921, NGC MS63RB ..
AC669, Canada, Victoria, 5 Cents 1882-H, Heaton, Silver, NGC MS63 ..
AC858, Canada, Newfoundland, Edward VII, 1 Cent 1904-H, Heaton, NGC MS62BN ..
AC859, Canada, Victoria, 25 Cents 1888, Silver, NGC VF30 ..
AD130-R, Canada, Victoria, 20 Cents 1858, Silver, NGC AU58 ..
AD329, Canada, George V, 50 Cents 1917, Silver, NGC MS62 ..
F89, Canada, New Brunswick, Victoria, 1/2 Penny Token 1854, Copper, High Grade (Cleaned) ..
L68, Canada, Victoria, Cent 1876-H, Heaton, High Grade! 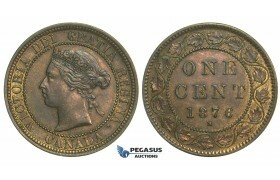 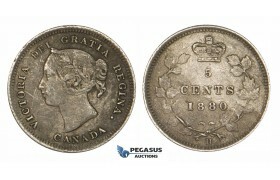 L68, Canada, Victoria, Cent 1876-H, Heaton, High Grade! ..
M72, Canada, George V, 50 Cents 1919, Silver, NGC UNC Det. 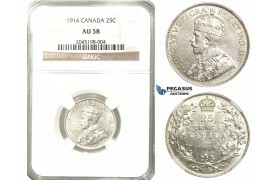 M72, Canada, George V, 50 Cents 1919, Silver, NGC UNC Det. 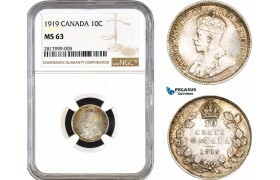 "Surface Hairlines" these are a..
M73, Canada, Newfoundland, Victoria, 1 Cent 1872-H, Heaton, NGC MS65RB ..
R108, Canada, Victoria, 5 Cents 1894, Silver, PCGS XF45 ..
R109, Canada, Victoria, 25 Cents 1872-H, Heaton, Silver, PCGS XF40 ..
R110, Canada, Victoria, 25 Cents 1880-H (Narrow/Wide O) Heaton, Silver, PCGS VF35, Rare! R110, Canada, Victoria, 25 Cents 1880-H (Narrow/Wide O) Heaton, Silver, PCGS VF35, Rare! 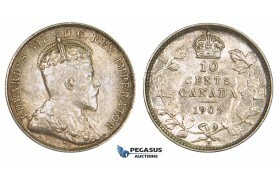 ..
R111, Canada, Victoria, 25 Cents 1891, Silver, PCGS F15 ..
R112, Canada, Edward VII, 25 Cents 1905, Silver, PCGS VF Details "Cleaning" ..
R113, Canada, Edward VII, 50 Cents 1904, Silver, PCGS VF25 ..
R114, Canada, George V, 50 Cents 1911, Silver, PCGS VF25 ..
R115, Canada, George V, 25 Cents 1912, Silver, PCGS AU Details "Cleaning" ..
R116, Canada, George V, 25 Cents 1929, Silver, PCGS AU55 ..
R117, Canada, George V, 50 Cents 1936, Silver, PCGS VF30 ..
R118, Canada, George V, Cent 1925, PCGS AU58 ..
R119, Canada, Elisabeth II, Dollar 1956, Silver, PCGS PL66 ..
R120, Canada, Newfoundland, Victoria, 20 Cents 1894, Silver, PCGS VF35 ..
R204, Canada, George V, 25 Cents 1912, Silver, NGC MS64 Rare! 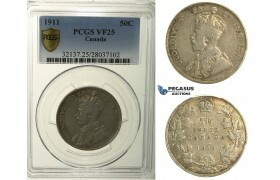 R204, Canada, George V, 25 Cents 1912, Silver, NGC MS64 Rare! 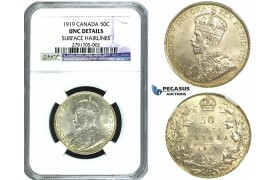 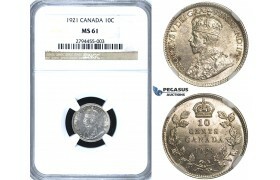 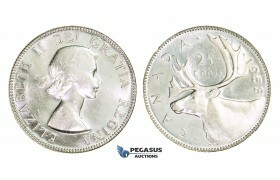 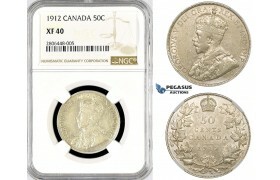 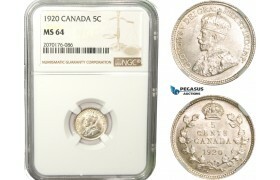 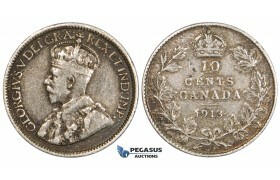 ..
R205, Canada, George V, 25 Cents 1914, Silver, NGC AU58 ..
R206, Canada, George V, Dollar 1935, Silver, NGC MS65 Fully frosted! 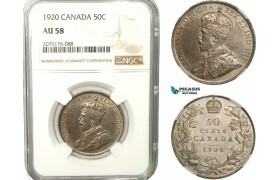 R206, Canada, George V, Dollar 1935, Silver, NGC MS65 Fully frosted! 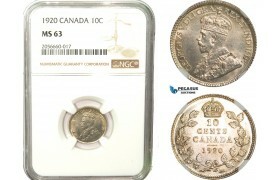 ..
R207, Canada, George V, Dollar 1936, Silver, NGC MS63 Fully frosted! 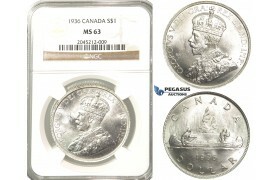 R207, Canada, George V, Dollar 1936, Silver, NGC MS63 Fully frosted! 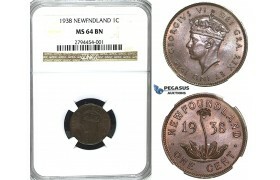 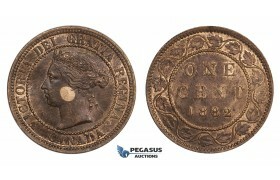 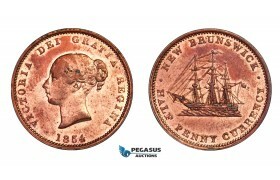 ..
R234, Newfoundland, Victoria, 20 Cents 1894 (Obv. 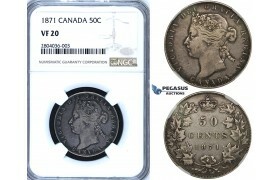 : 1) Silver, NGC AU50 Rare! R234, Newfoundland, Victoria, 20 Cents 1894 (Obv. 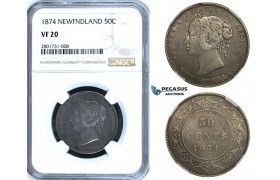 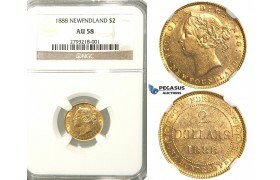 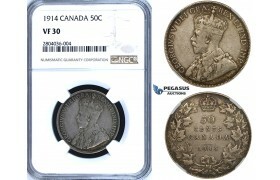 : 1) Silver, NGC AU50 ..
R301, Newfoundland, Victoria, 2 Dollars 1888, Gold, NGC AU58 ..
R302, Canada, George V, 10 Dollars 1912, Gold, NGC MS62 ..
R333, Canada, Victoria, 25 Cents 1874-H, Heaton, Silver, NGC AU53 ..
R404, Canada, George V, 10 Cents 1921, Silver, NGC MS61 ..
R405, Canada, Newfoundland, George VI, Cent 1938, NGC MS64BN (Pop 1/1) ..
R425, Canada, George V, 5 Cents 1926 (Near 6) NGC MS62, Rare! 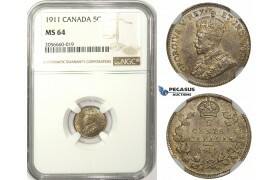 R425, Canada, George V, 5 Cents 1926 (Near 6) NGC MS62, Rare! 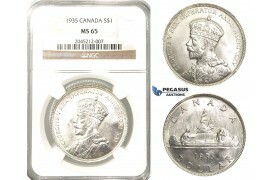 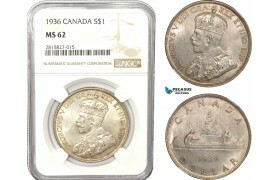 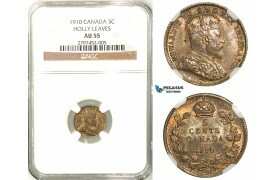 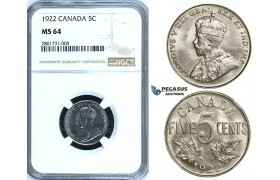 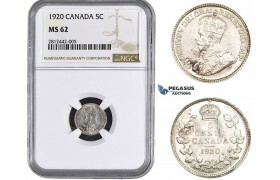 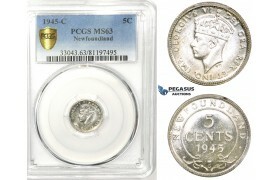 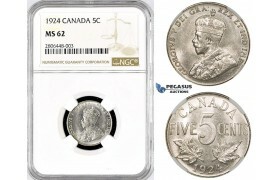 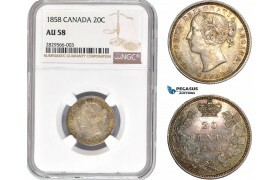 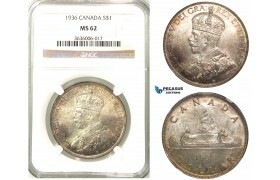 ..
R559, Canada, George V, 1 Cent 1926, NGC AU58BN ..
R560, Canada, Edward VII, 5 Cents 1910 (Holly leaves) Silver, NGC AU55 ..
R561, Canada, Newfoundland, George V, 1 Cent 1929, NGC AU53BN ..
R646, Canada, Victoria, 5 Cents 1898, Silver, NGC AU58 ..
R648, Canada, George V, 5 Cents 1922, NGC MS64 ..
R649, Canada, George V, 5 Cents 1928, NGC MS64 ..
R651, Canada, Newfoundland, Victoria, 50 Cents 1874, Silver, NGC VF20 ..
R683, Canada, Edward VII, 1 Cent 1909, NGC MS64BN ..
R684, Canada, Victoria, 10 Cents 1875-H, Heaton, Silver, NGC F12, Rare! 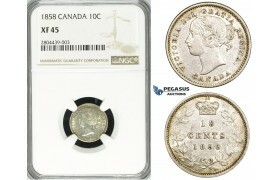 R684, Canada, Victoria, 10 Cents 1875-H, Heaton, Silver, NGC F12, Rare! 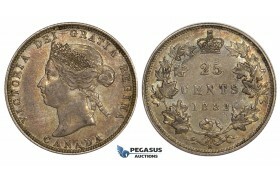 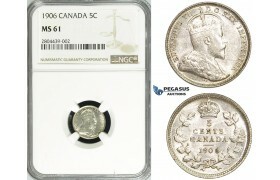 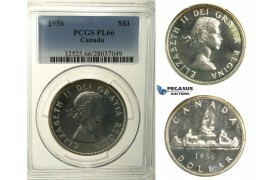 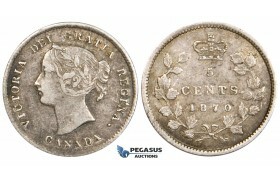 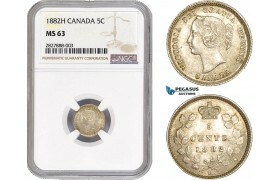 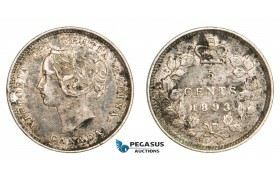 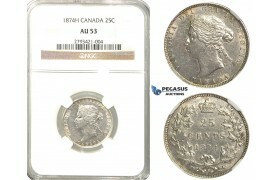 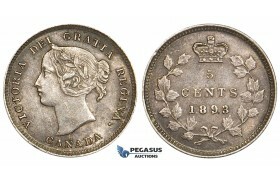 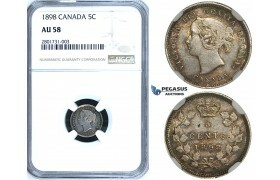 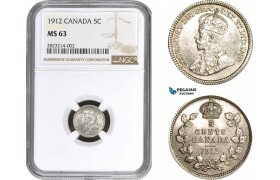 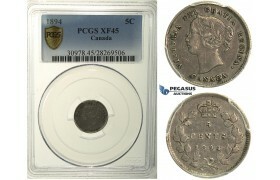 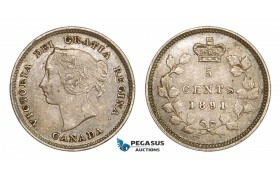 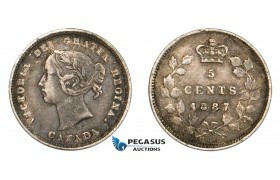 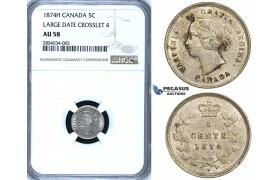 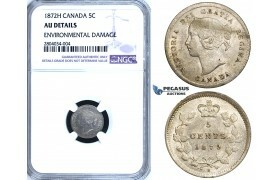 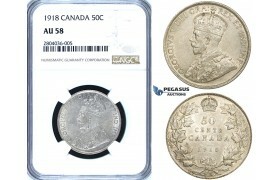 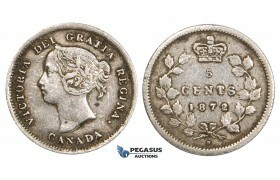 ..
R688, Canada, Victoria, 50 Cents 1871, Silver, NGC VF20 ..
R689, Canada, George V, 50 Cents 1914, Silver, NGC VF30 ..
R690, Canada, George V, 50 Cents 1918, Silver, NGC AU58 ..
R711, Canada, Edward VII, 5 Cents 1906, Silver, NGC MS61 ..
R712, Canada, Victoria, 10 Cents 1858, Silver, NGC XF45 ..
R748, Canada, Newfoundland, George VI, 5 Cents 1945-C, Silver, PCGS MS63 (Prooflike) ..
R767, Canada, George V, 5 Cents 1924, NGC MS62 ..
R768, Canada, George V, 50 Cents 1912, NGC XF40 ..
Y26, Canada, Nova Scotia, Victoria, 1 Cent 1864, NGC MS62BN ..
Z46, Canada, George V, 1 Dollar 1936, Silver, NGC MS62 ..
ZE39, Canada, Victoria, 5 Cents 1893, Silver, Toned AU ..
ZF57, Canada, Victoria, 5 Cents 1872-H, Heaton, Silver, NGC AU Details "Environmental Damage&qu..
ZF58, Canada, Victoria, 5 Cents 1874-H, Heaton, Silver, NGC AU58 "Large date Crosslet 4"
ZF58, Canada, Victoria, 5 Cents 1874-H, Heaton, Silver, NGC AU58 "Large date Crosslet 4" ..
ZG99, Canada, George V, 1 Cent 1922, NGC MS64BN, Rare! ZG99, Canada, George V, 1 Cent 1922, NGC MS64BN, Rare! 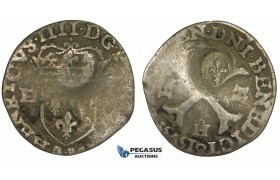 ..
ZJ58, Canada (French) AR Douzain (15 Deniers) (1.68g), ND (after 1640), countermark lis on issue of ..
ZM144, Canada, Edward VII, 10 Cents 1902-H, Heaton, Silver, Lustros UNC ..
ZM177, Canada, Victoria, 5 Cents 1880-H, Heaton, Silver, Dark Toned VF ..
ZM29, Canada, George V, 5 Cents 1911, Silver, NGC MS64 ..
ZM312, Canada, Victoria, 1 Cent 1859, NGC MS63RB (Narrow 9) ..
ZM313, Canada, City Bank, Penny Token 1837, NGC MS63BN ..
ZM314, Canada, New Brunswick, Half Penny Token 1843, NGC MS62BN ..
ZM535, Canada, Victoria, 25 Cents 1882-H, Heaton, Silver, Rainbow toned AU ..
ZM565, Canada, Victoria, 1 Cent 1859, NGC MS63RB (Narrow 9) ..
ZM731, Canada, Victoria, 5 Cents 1870, Silver, Toned VF ..
ZM732, Canada, Victoria, 5 Cents 1872-H, Heaton, Silver, gVF (lightly cleaned) ..
ZM733, Canada, Geroge V, 10 Cents 1913 Broad Leaves, Silver, Toned VF-XF (Circular mark on Rev) ..